Barnard Castle comedy club announce new shows from Imran Yusuf, Jason Cook and more. Barnard Castle’s Funny Way To Be Comedy Club have unveiled their line-up for the summer months. The five-show programme, released today, includes Funny Way To Be’s fourth birthday bash, as well as a series of Edinburgh Fringe taster shows designed to give Teesdale residents the chance to see brand new routines months before they debut at the world’s largest arts festival. 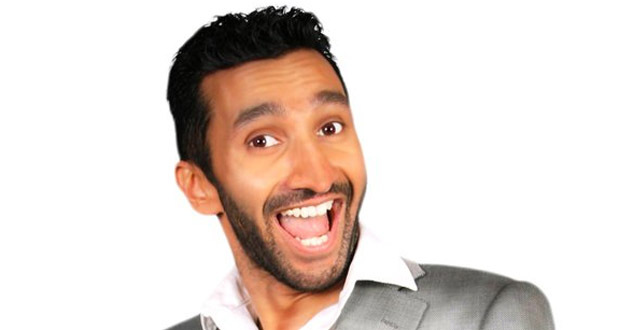 Geordie comedian Kai Humphries and former Edinburgh Comedy Award Best Newcomer nominee Imran Yusuf will do just that when they open Funny Way To Be’s summer season at The Jersey Farm Hotel on Wednesday 11 June. While Teesside’s comedy magician Pete Firman headlines the club’s first show at The Witham on Saturday 21 June. The programme also features shows from Jo Caulfield (19 July), Lucy Beaumont (26 July) and Patrick Monahan (also 26 July), while Hebburn creator Jason Cook and Phoenix Nights star Justin Moorhouse team up for Funny Way To Be’s fourth birthday show at The Witham on Tuesday 1 July. And, as a thank you to comedy fans in Teesdale, the club are reducing advanced ticket prices for the show from £10 to just £6. Dixon said: “We are thrilled to be presenting such a top line up of acts in a great performance space. It’s quite a change from our small beginnings in 2010. Funny Way To Be are also offering a ‘Road to Edinburgh’ season ticket, which allows you to see all five shows for £25. Click to buy.